For over 30 years, we have been keeping families close to their critically-ill children receiving medical care in the Fargo area. We understand that families come to our House exhausted, stressed, fearing the unknown in a new city, and financially drained from mounting medical bills. Our team is here to help. At our House, we provide so much more than a hotel by meeting the unique needs of families working to care for their critically ill children. We surround our families with love and support from our giving volunteers, from our caring staff and from other guest families who understand what you’re going through. We also provide home-cooked meals, play areas, laundry facilities, computers and WiFi, and much more, so that you can concentrate on what is most important – your child. 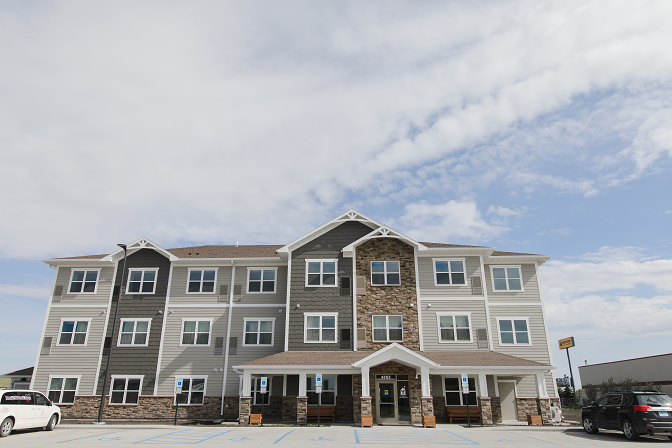 Families with children 21 or younger that are receiving care at Sanford Health, Essentia Health, Eating Disorder and Weight Managment Institute, Roger Maris Cancer Center or Prairie St. John’s are eligible to stay at the Ronald McDonald House. Requests are processed 7 days a week, between the hours of 8 AM and 9 PM. Rooms are available on a first come, first-served basis. Families are asked to donate $20.00 per night if able, but no family is turned away if they are unable to pay. We do accept Medical Assistance if applicable. All families must obtain a referral from a doctor, nurse, or social worker to confirm the need for a room. Due to the communal nature of the Ronald McDonald House, a background check is performed on each adult 18 and older who is requesting a room at the Ronald McDonald House.